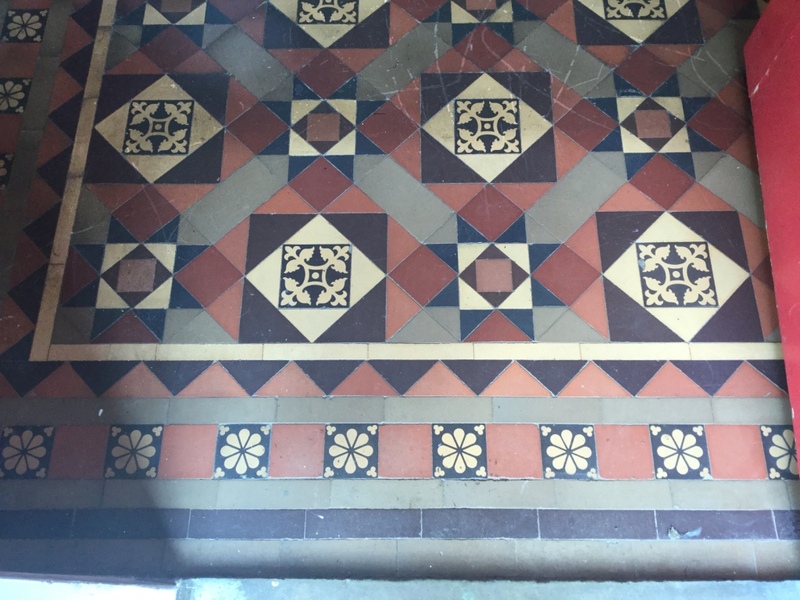 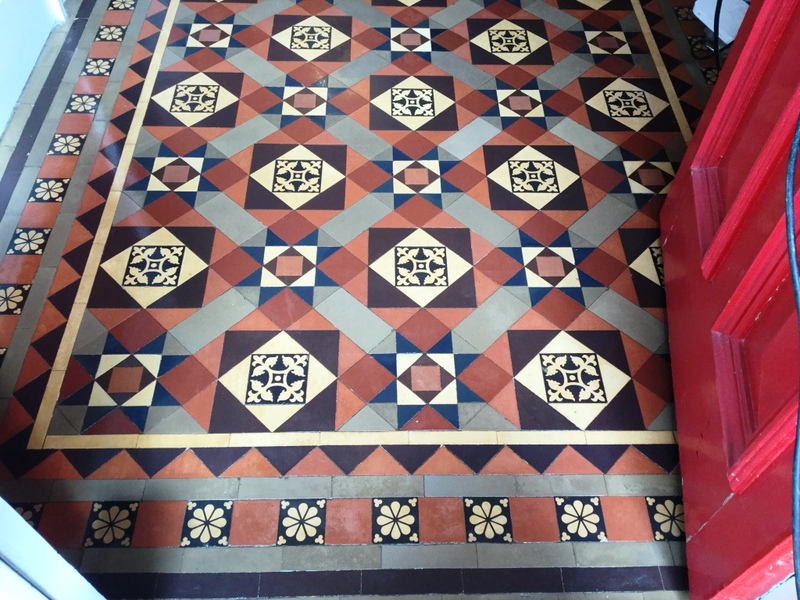 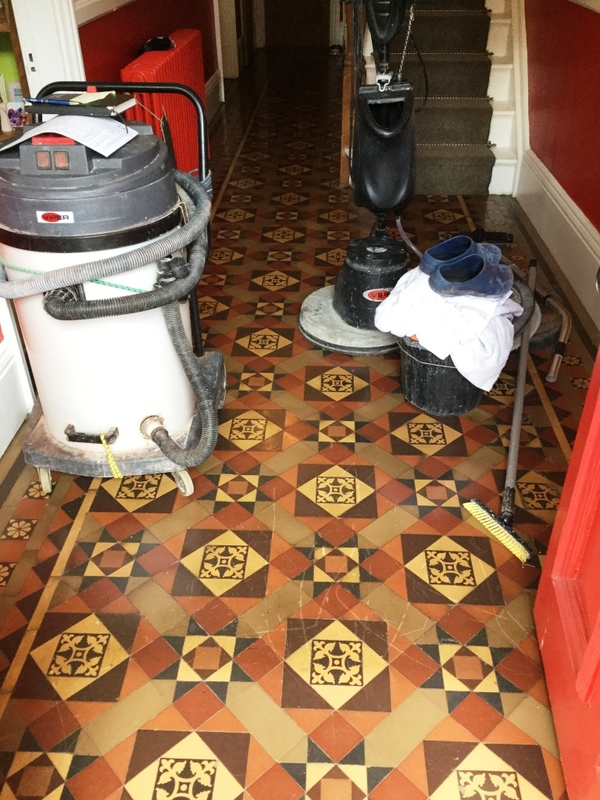 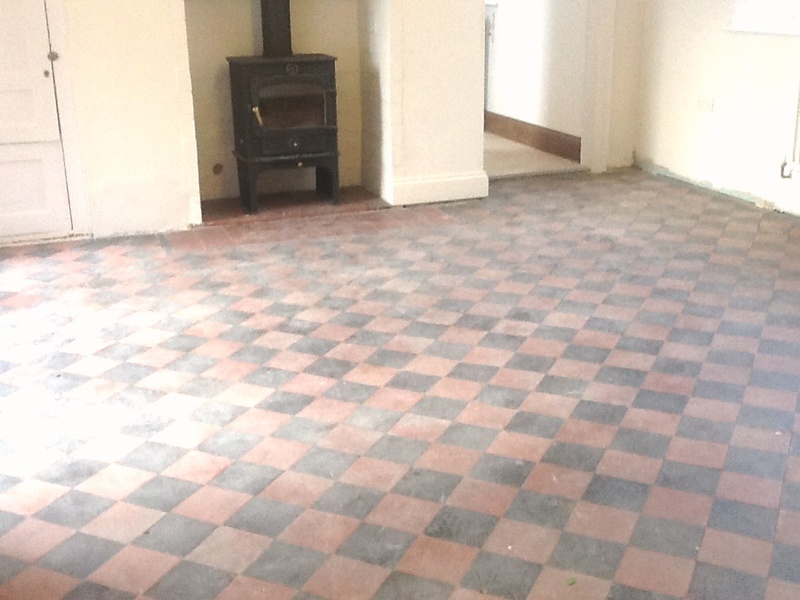 A customer called me out to take a look at restoring the Red and Black Victorian Quarry tiles floor they had discovered under linoleum In the kitchen of their house in the town of Rushden. 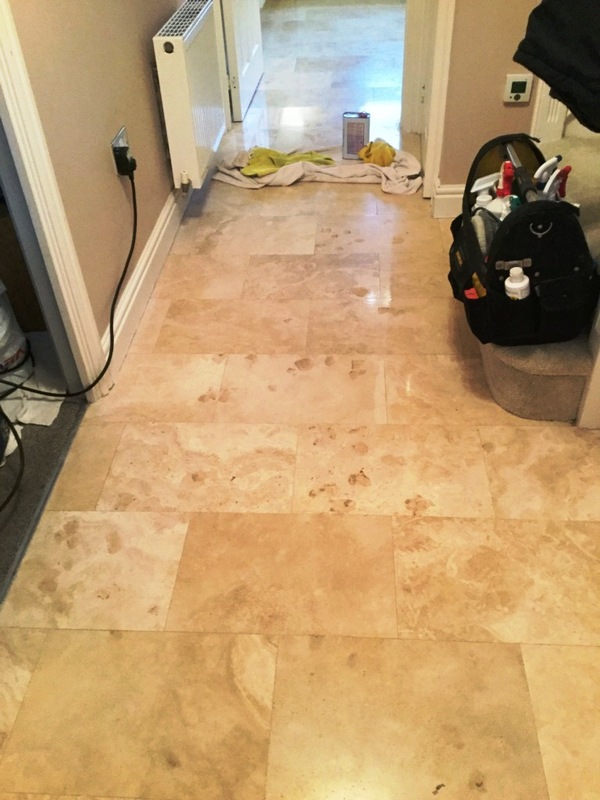 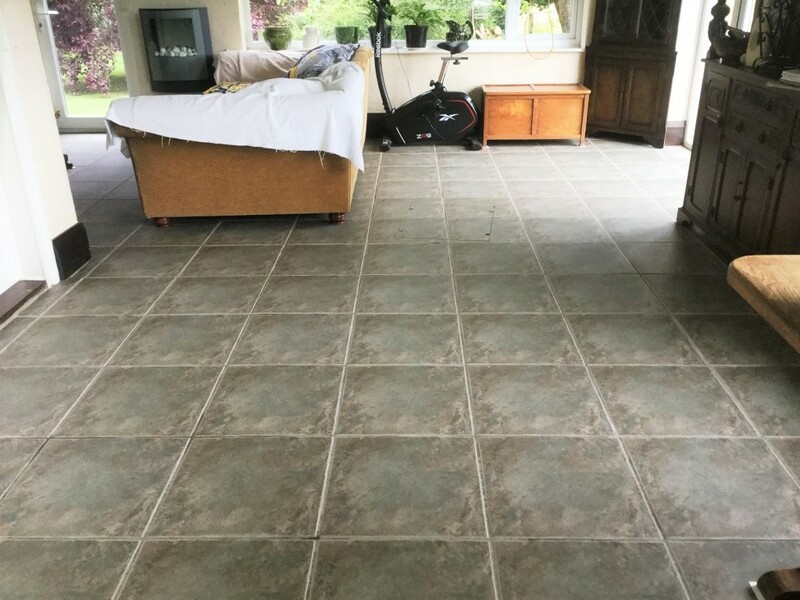 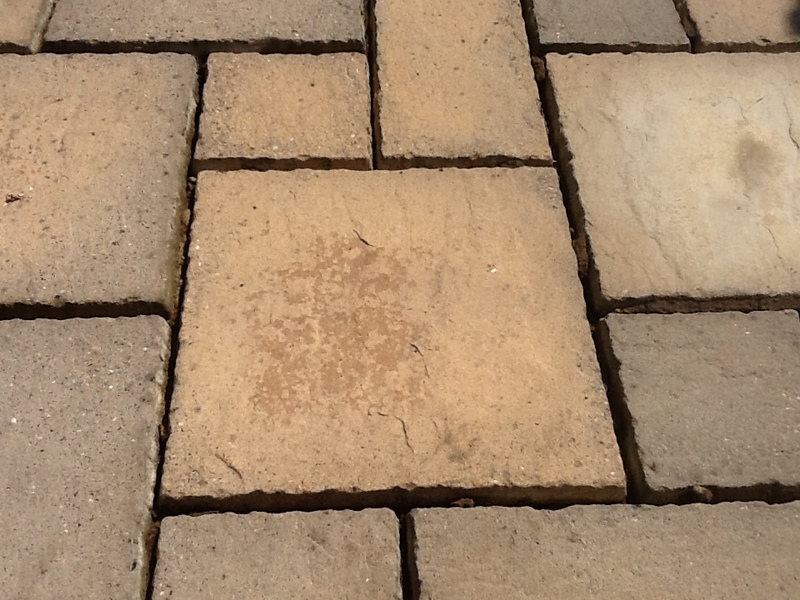 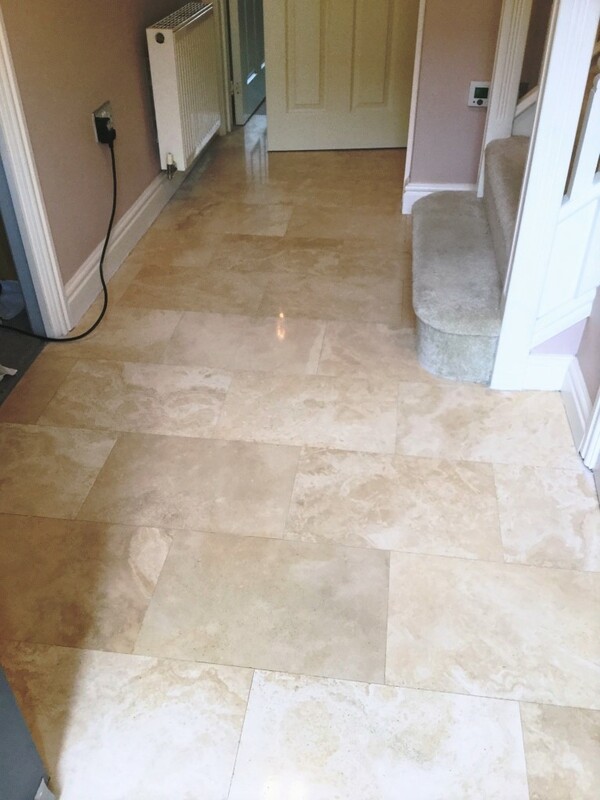 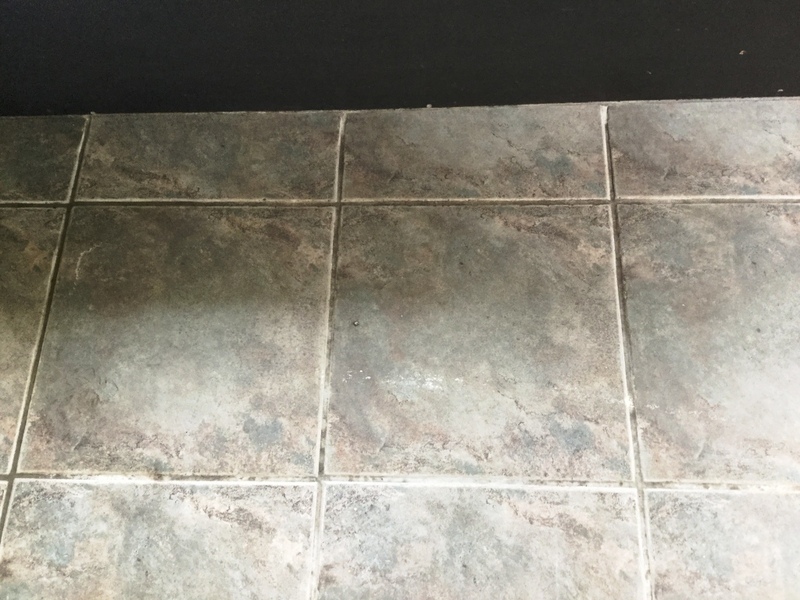 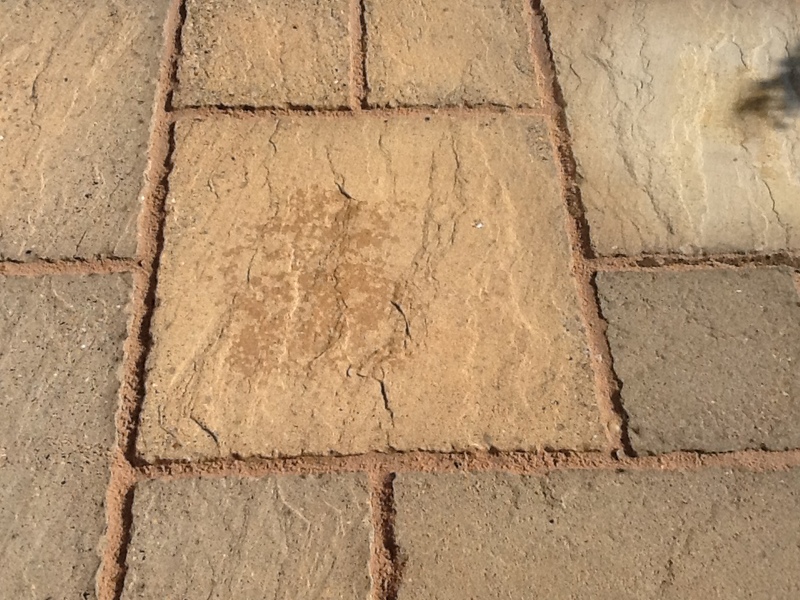 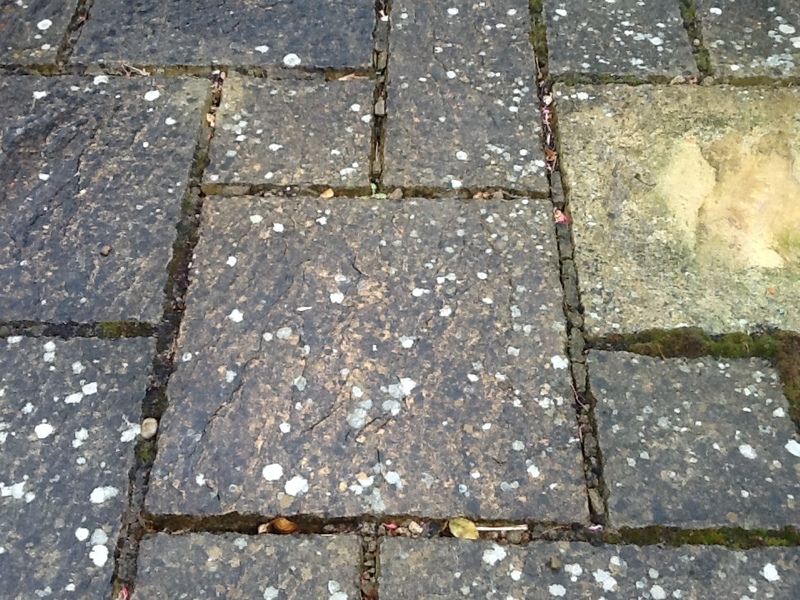 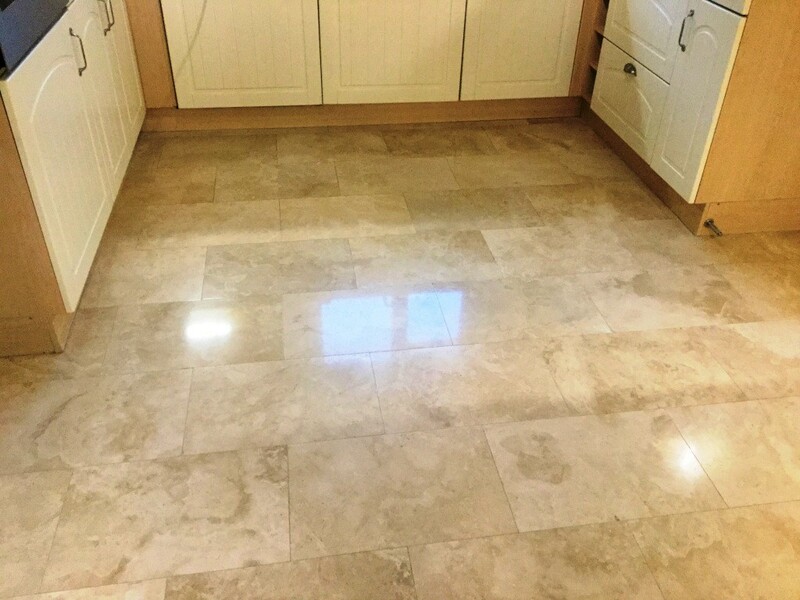 I carried out a patch test to see which products would have the best results and although most of the old sealants had worn of over time there was still glue from the lino and patches of sealer that would have to be dealt with. 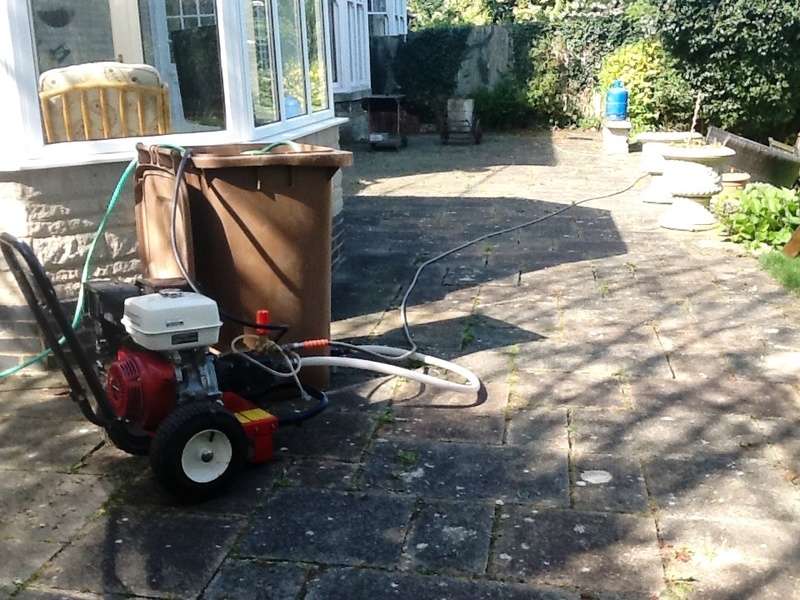 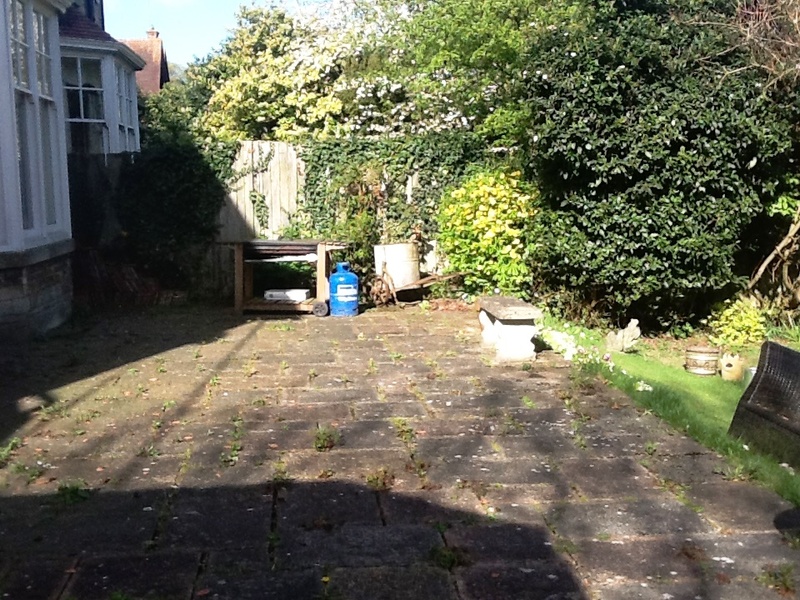 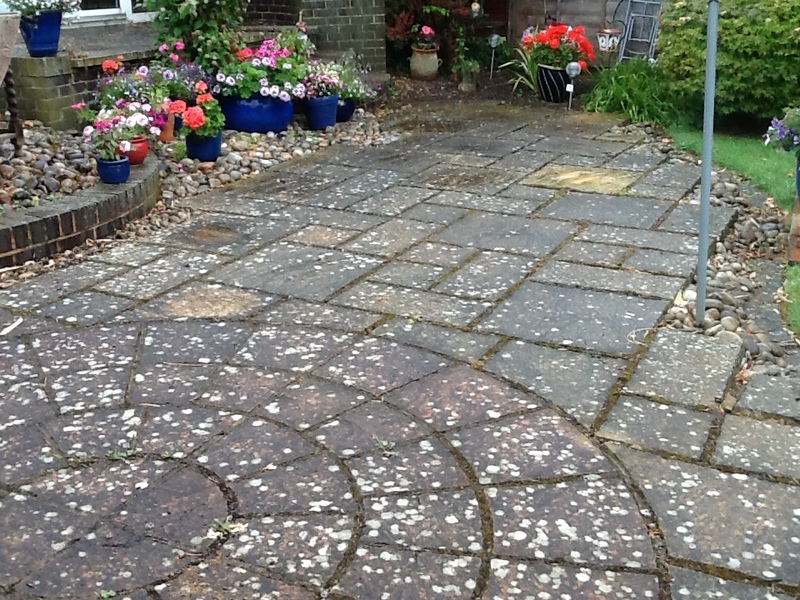 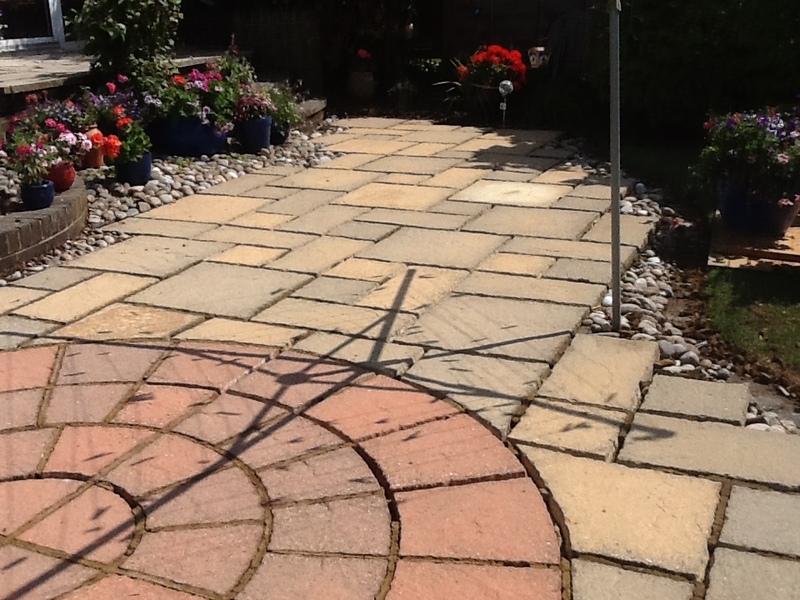 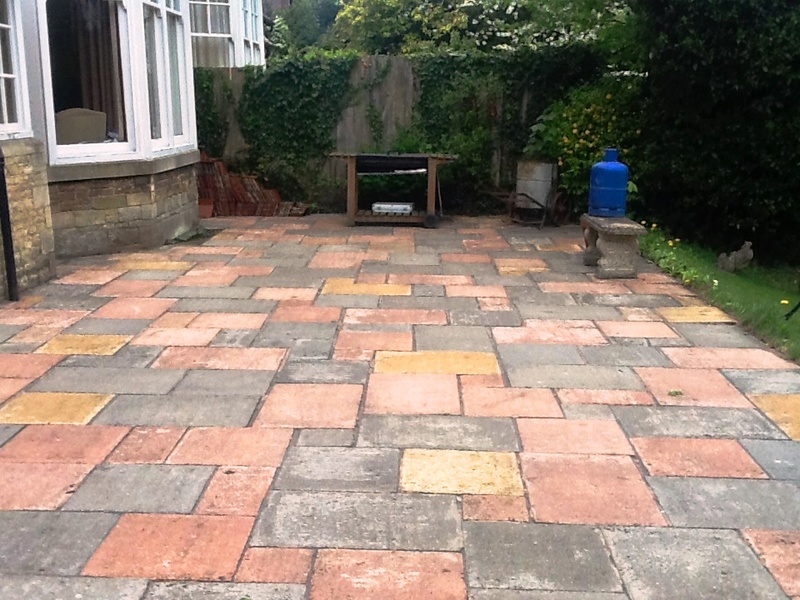 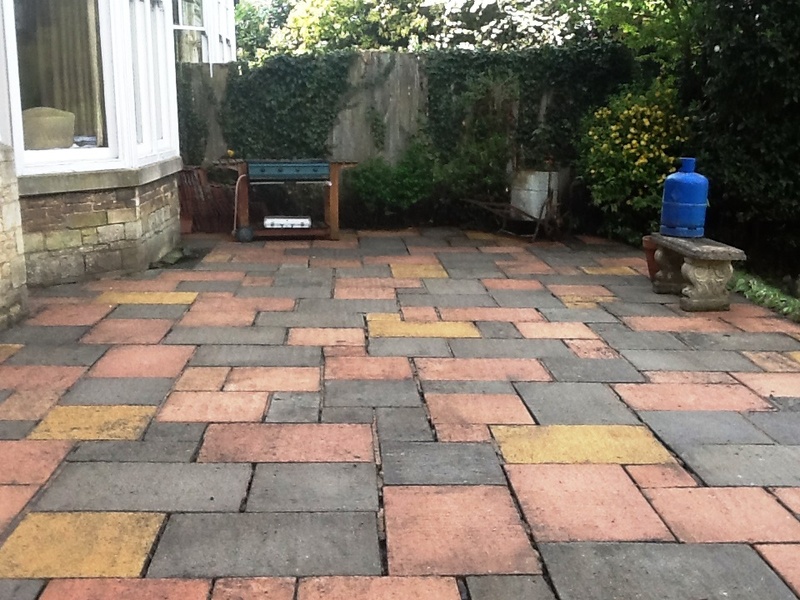 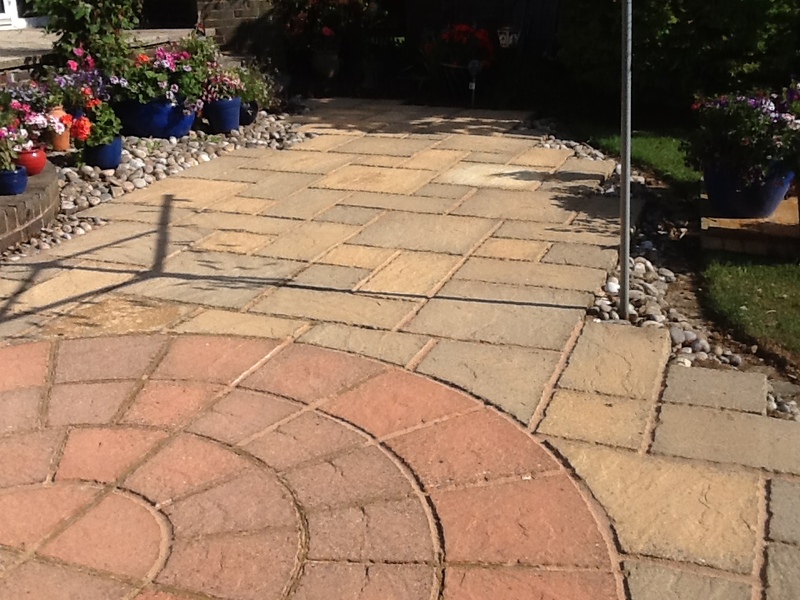 A quote was given and accepted and the work was booked in to the customer’s convenience. 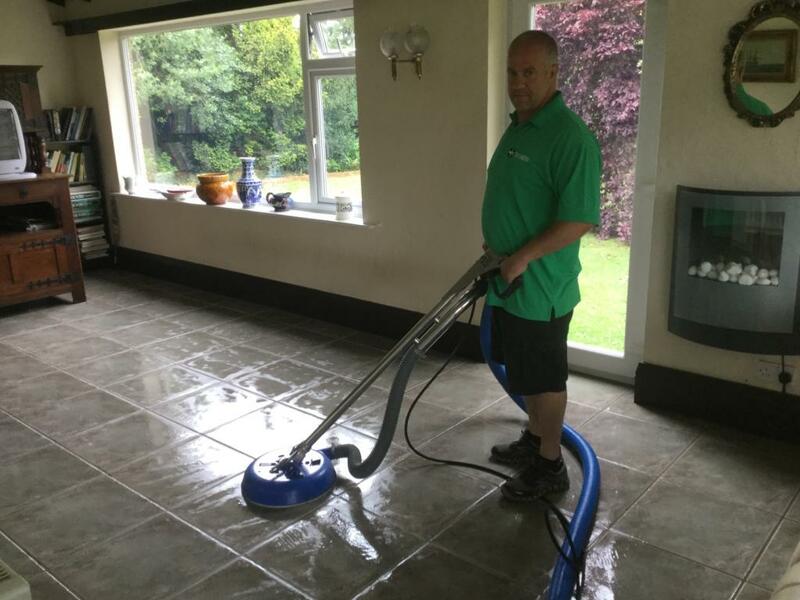 After vacuuming and mopping the floor I decided my best course of action would be to spray Tile Doctor Remove and Go to 25% of the area, this was then scrubbed in by machine using a black stripping pad. 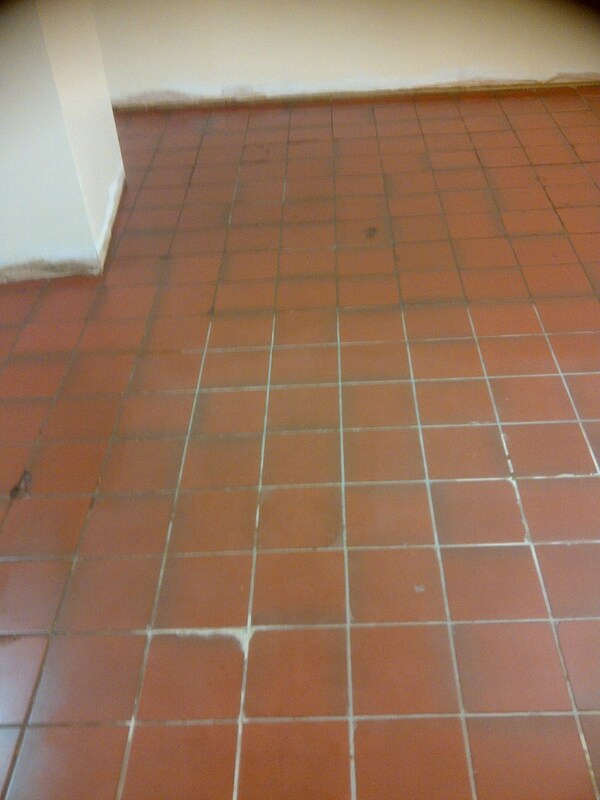 This area was then rinsed off with an extraction machine and the process repeated over the rest of the floor. 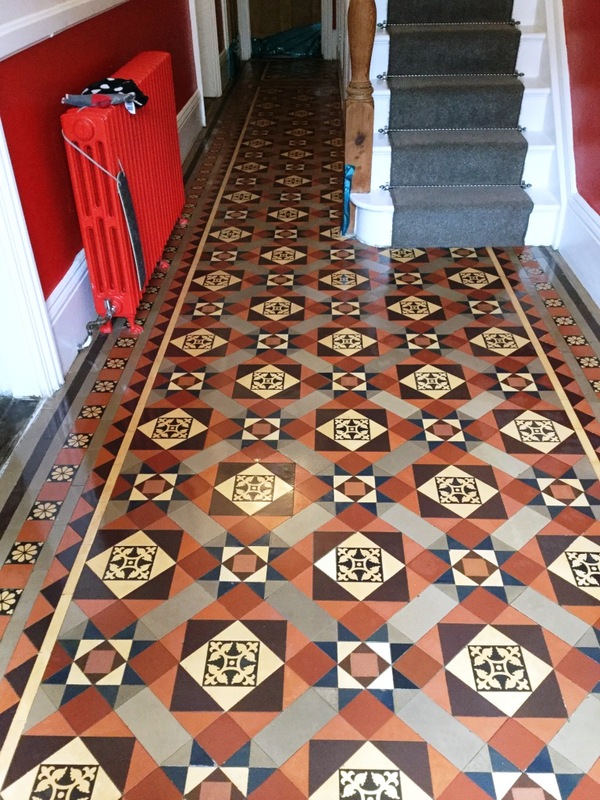 I then inspected the floor and noticed a few shiny patches where the sealant hadn’t been fully removed so I then tackled these stubborn areas by hand with a second application of Remove & Go. 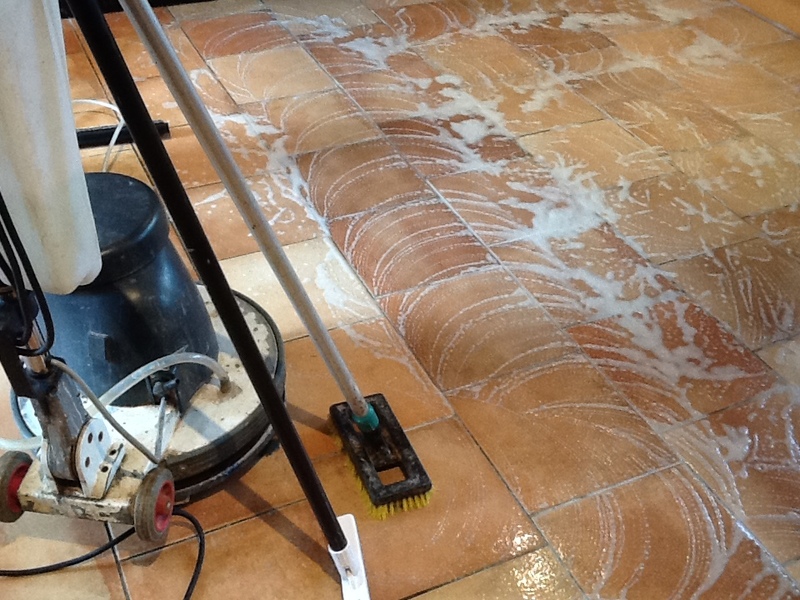 A final rinse to the whole floor was given to make sure no trace of cleaning product remained before sealing. 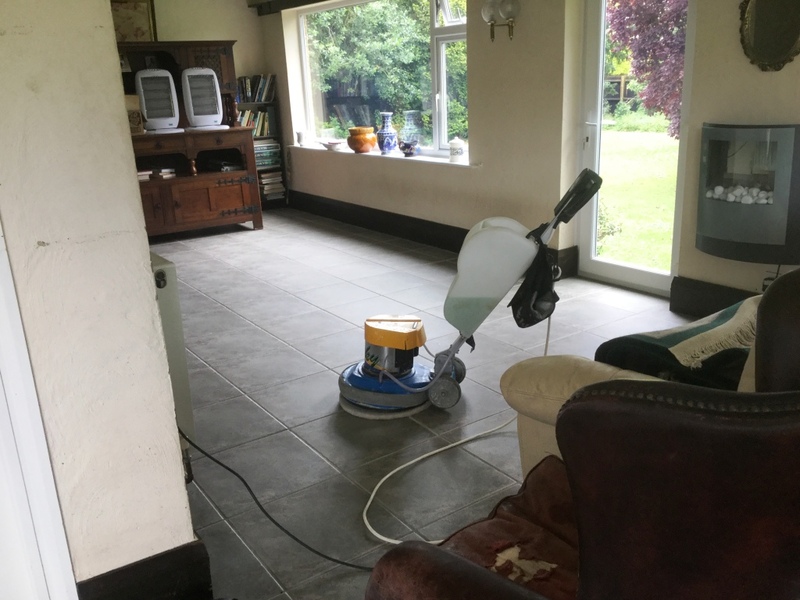 As much water as possible was removed using the extraction machine and a dehumidifier installed and left for seven days to assist the drying process. 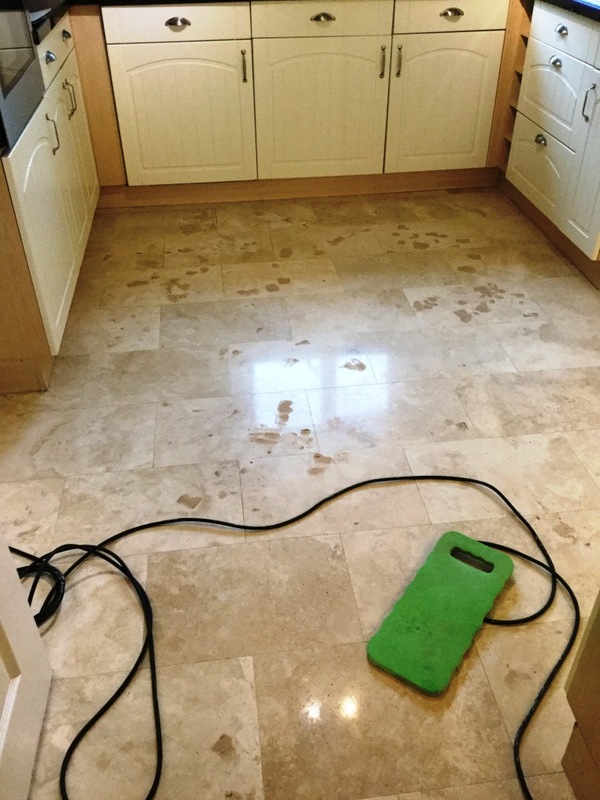 On my return I confirmed the floor had dried thoroughly by taking took damp meter readings in different parts of the floor. 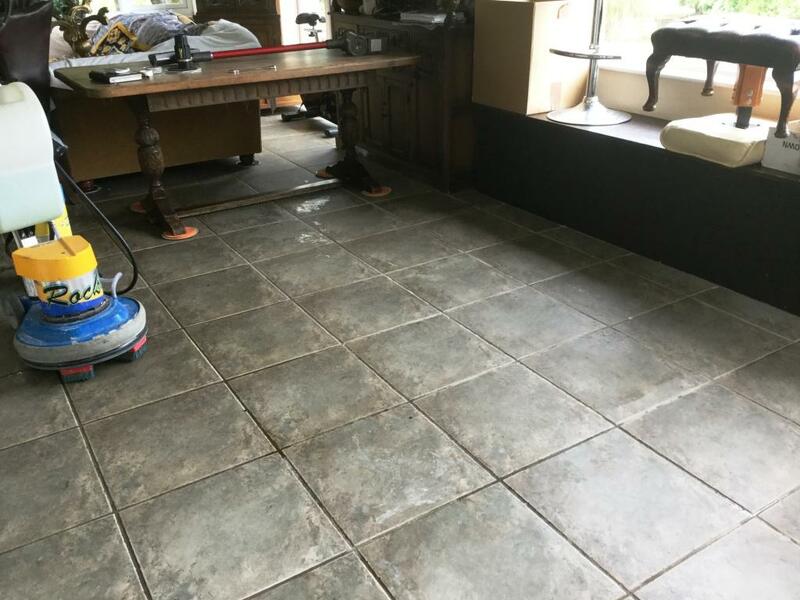 All was well and so I proceeded to seal the tiles using multiple coats of Tile Doctor Seal and Go which matched the customers’ requirements of gloss finish. 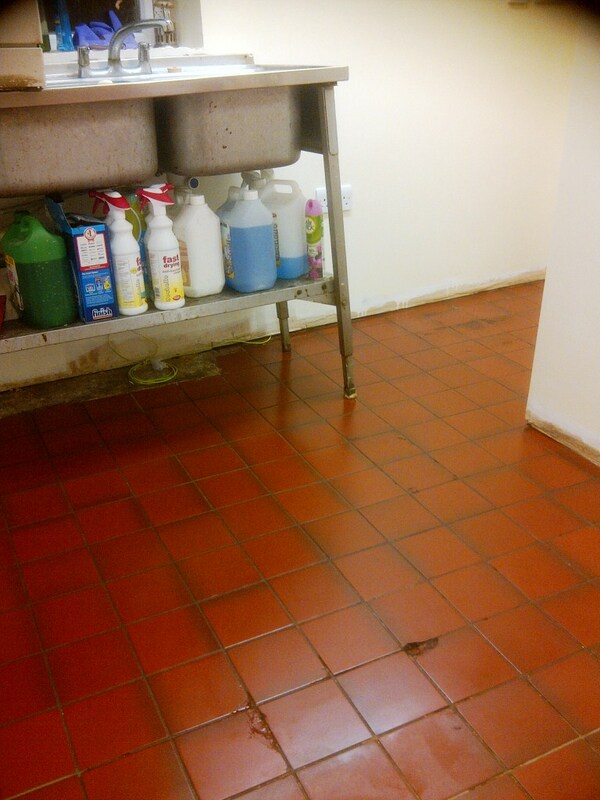 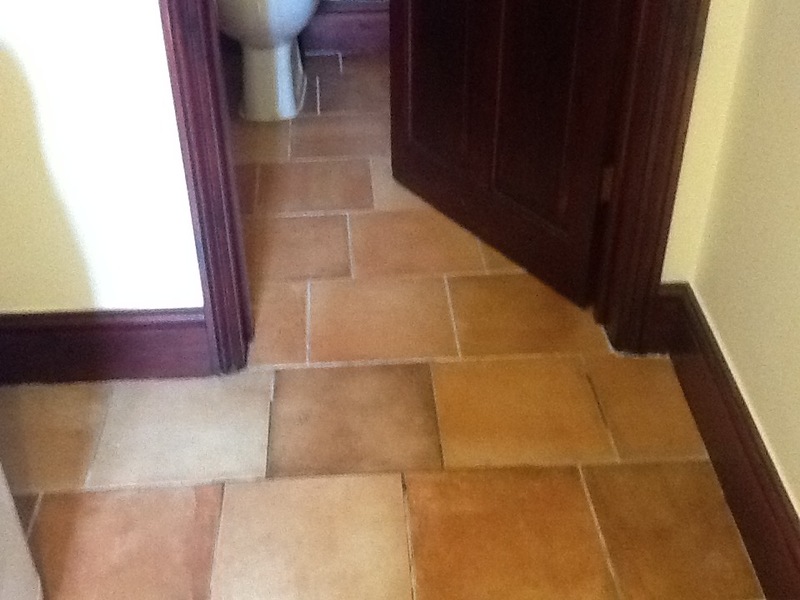 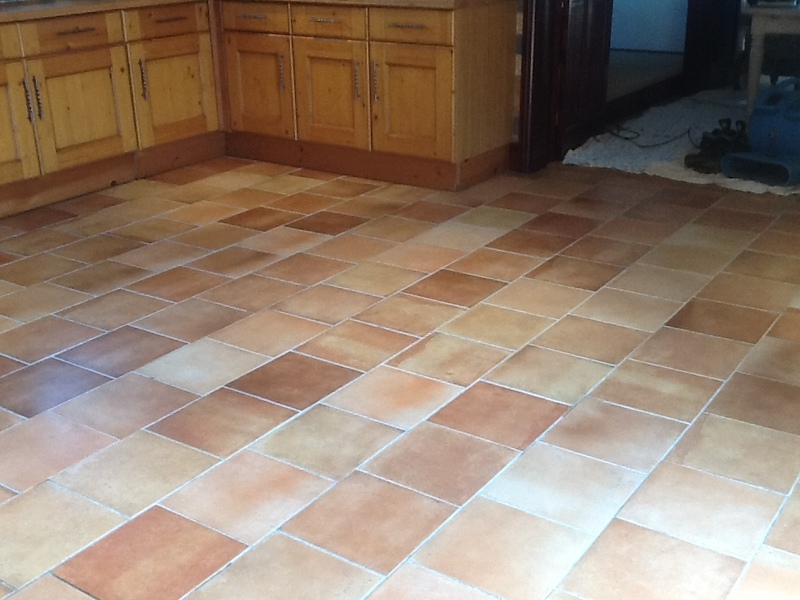 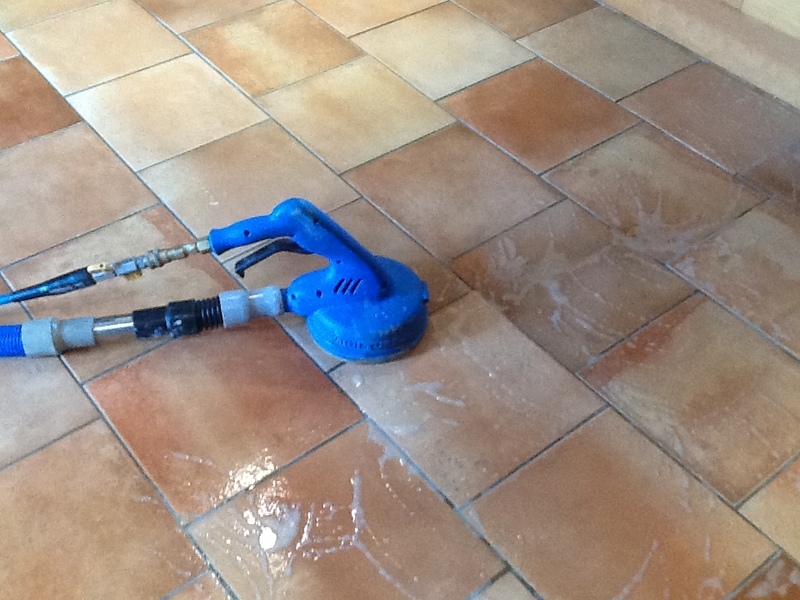 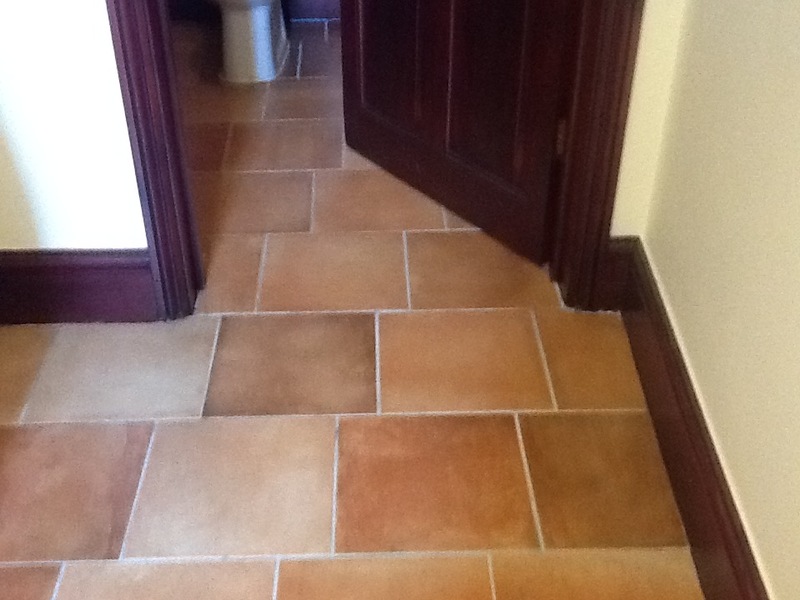 As the pictures show there was a vast improvement in the floor and the customer was very pleased with the results. 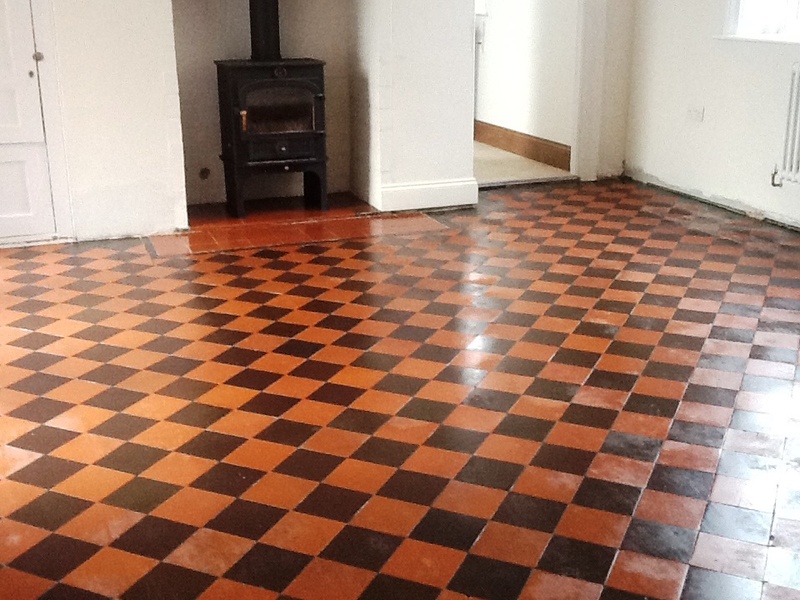 They were also given information on maintenance of this type of floor to keep it looking its best for years to come.